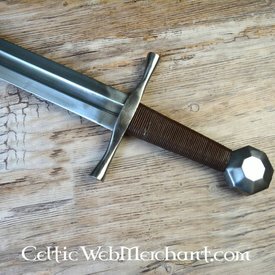 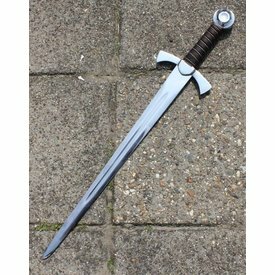 This medieval short sword was often used during a duel. 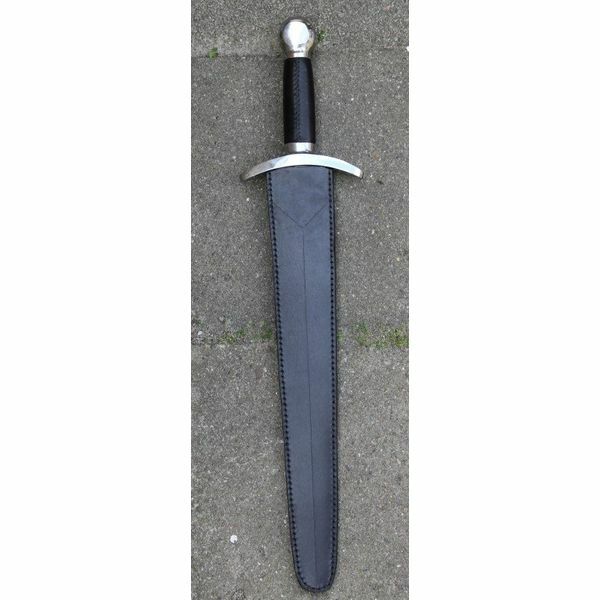 Swords like this were able to penetrate thin parts of the suit of armour with their sharp tip. 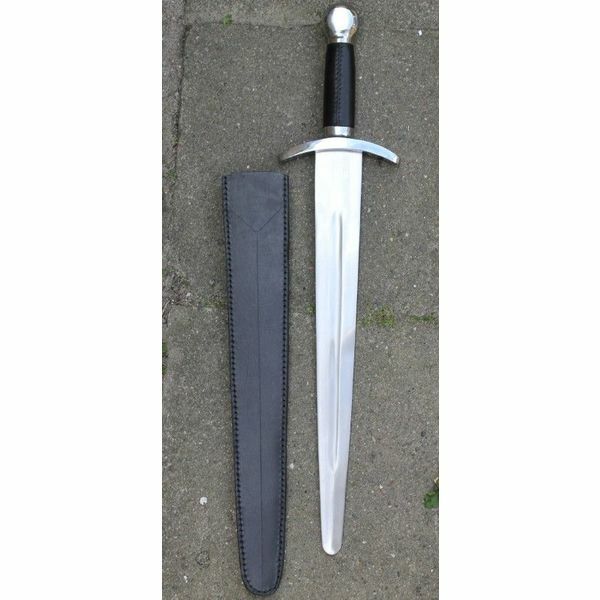 This handmade sword has a hardwooden grip. 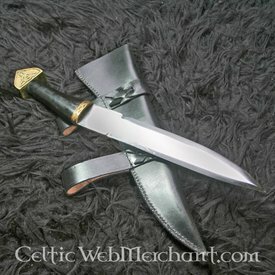 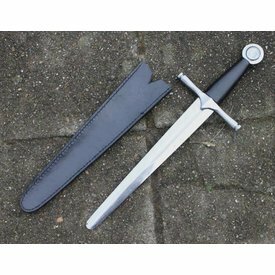 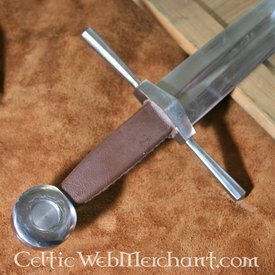 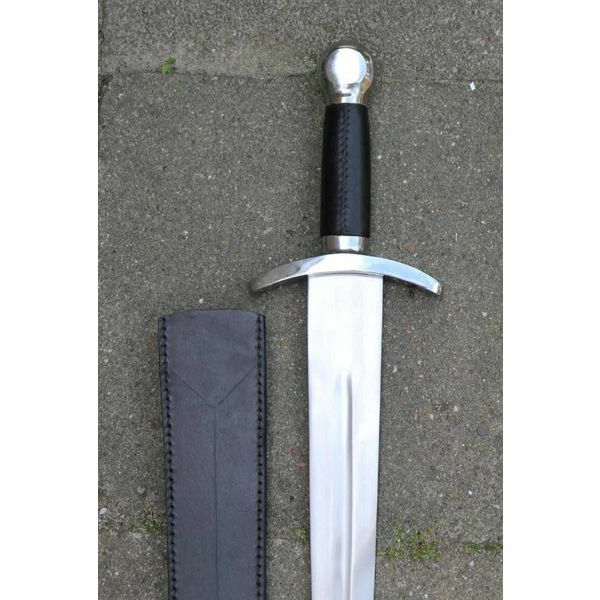 It is suitable for re-enactment battles and is delivered including a scabbard with a belt loop. Its total length is 54,5 cm and the length of the blade is 40 cm.